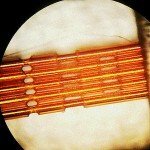 Micron Laser Technology provides contract laser manufacturing services and custom laser applications and products. With 18,000 sqft of manufacturing floor space housing custom laser machining centers in most available wavelengths, laser manufacturing of products, parts, and assemblies are produced to your specifications. Adhesive, epoxy, bonding film, and tape stock in either sheet or roll format are easily laser converted into any perform shape or profile. 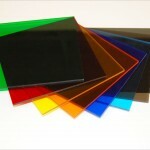 Adhesives can be silicone, acrylic, or rubber depending on your application. Custom gaskets and washers are laser fabricated to your specifications with feature sizes as small as 25um. Gaskets and washers can be produced from most metals and plastics. 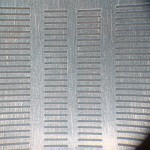 MLT specializes in microvia laser drilling for printed circuit boards to IPC high density interconnect standards. Preforms are made from flat sheet stock of most materials or combination of material sets. Laser fabricated preforms can be of any size and eliminates the need for stamping or tooling/dies. 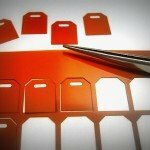 MLT stencils can be made from stainless steel or other metals, paper products, or plastic films. Feature sizes can be as small as 25um for similar shadow mask applications. MLT shadow-masks are a low cost alternative to photolithography when feature sizes are less than 10um. Laser fabricated geometries achieve smaller dimensions, sharper edges, and tighter tolerances than chemical etching. 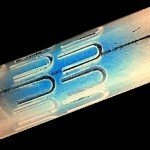 Custom machined tubing products are available in many common plastics, thin walled metals, and even medical grade materials. Laser fabricated products can be made from a variety of materials. Laser friendly material sets are listed here. By adding your unique requirements to commercially available wires and cables, MLT can fabricate your custom wire or cable solutions cost effectively.